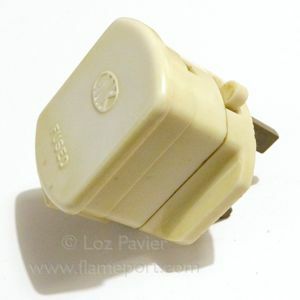 Ivory switched 13A plug by MK. Pictures and text provided by Loz Pavier. 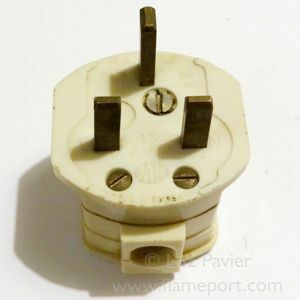 A variant on the traditional MK plug, this is a design with an inbuilt on/off switch to the top. This would have been sold and used during the time when standard 13a socket outlets were not provided with a switch in most houses. 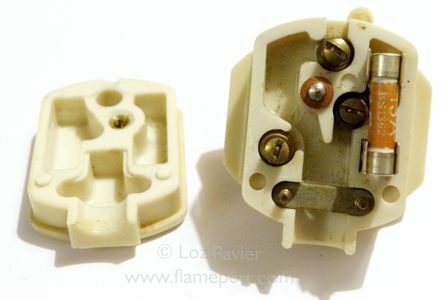 The design is a three tier system, with the lower and middle parts housing the switching mechanism. Terminals are the usual ones used by MK to this day.